The Chequamegon School District has chosen to make every use of Cloud-based services as possible and is a goal in the current three year Information and Technology Plan. Many of the cloud-based services the district is using are free and with any cloud-based service there is no need to purchase any hardware or software to use it. 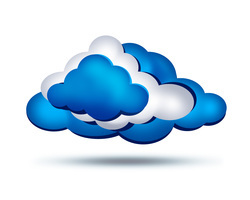 The district has been moving to cloud-based services for several years. The first deployment was hosted email and then came hosted student records and financials. The school web site became hosted in 2010. Online file storage is the current method of file storage that eliminates another class of local servers that have to be maintained. During the 2010-2011 school year the district adopted online file storage and all students and staff were introduced to the concept. Most staff and students were using a Dropbox.com account, however now all students and staff are using a Google Drive account. While using an online file storage space was voluntary in the 2010-2011 school year, it is no longer voluntary as of the 2011-2012 school year. The Chequamegon School District is a registered Google Apps for Education school and all staff and students will be using this online document production and file storage system. You can read all about Google Apps for Education here. Online document production became a required solution in the 2012-2013 school year. While Google Docs allows anyone to create files online using a web browser, Google Docs also allows any user to store any type of file online as well in thier Google Drive. Each user has 30G of free file storage of any type of file such as Word documents, PDF files, images or videos. When the user actually creates the file online in Google format then the user has unlimited storage capacity. In the 2010-2011 school year all users were introduced to Dropbox.com. This is a free online document storage site that provides 2Gig of free storage space while keeping your dropboxes on any device in sync. Install Dropbox at school and at home on your PC, Mac, iPod or iPad, Android device or Blackberry and all your files are kept in sync automatically. SugarSync is like Dropbox in functionality and is also free up to 5Gig of file storage. Drag and drop files to any folder you have chosen on your device to keep in sync and the files automatically sync to the cloud and any other device you have the app installed on.